Getting yourself ready for winter is a snap. Gloves? Check! Scarf? Right here. 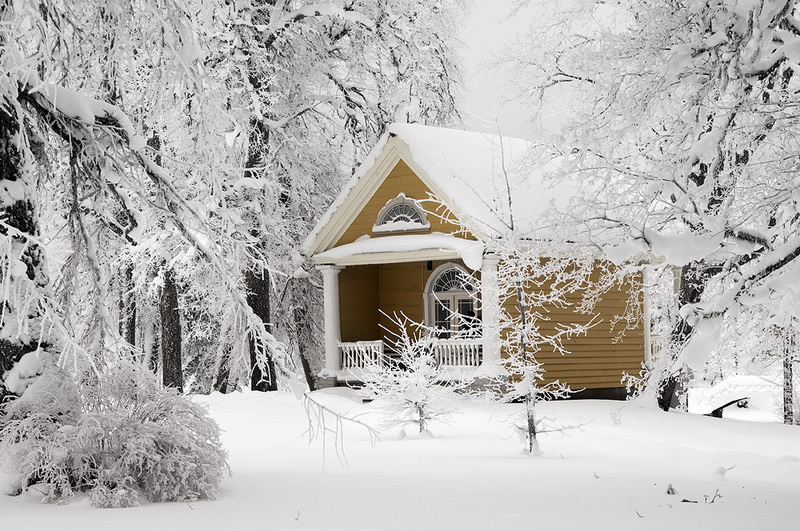 But readying your home for a long, cold season is another story. So, until someone invents a turtleneck sweater you can put around your house when it gets cold, there’s some organizing to do. We’ve got the tips to help you. Organizing your home for winter can seem like an annoying and perhaps unnecessary chore. But the financial benefits will outweigh any feelings of being “put out.” Winter heating costs can skyrocket if your windows are poorly insulated, your plumbing breaks, or if the heating system is out-of-date. Ensuring your home is prepped properly can save you a nice chunk of change while protecting your property for years to come. Looking at a giant to-do list is overwhelming. To save frustration, break it down into two or three jobs you can tackle over the next three to four weekends. First up, windows. Check each one in the house for drafts and insulation needs. The following week, inspect pipes to avoid an unfortunate burst in January. You can make things even easier by dividing the job among the family. Assign each person a room to inspect and report back on whether it’s ready for winter. Drain the water from your outdoor faucets and garden hoses and arrange to have any in-ground sprinkler pipes blown out. Roll up the garden hoses and store them inside. Identify any “problem” pipes that are prone to freezing in the house and consider using heat tape to keep them warm during extremely cold weather. If the worst happens, ensure everyone in the family knows how to turn off the water at the source. This will minimize leaking when and if a pipe bursts. Everyone enjoys cozy evenings by a crackling fire? Ensure your fireplace is ready to provide warm nights all winter. Be sure to have the chimney inspected and cleaned by a professional before the first frost. Also, have a professional perform a routine check of the heating systems before cold weather arrives. This should include vacuuming the vents and other heating components. If your furnace has a filter, check to see if it needs replacing. For more energy savings, consider installing a setback thermostat that keeps the home cooler when you are asleep or away. Keep drafts to a minimum this winter. If you have them, install storm windows and doors — and don’t overlook the basement. Add or replace worn weather stripping around the doors and windows and caulk any gaps. If doorstops are worn, replace them. If any pipes or ducts travel through an exterior wall, be sure to use caulking and weather-stripping around all entry points. These steps will block any potential entry points for cold air. That’s an idea you can warm up to.